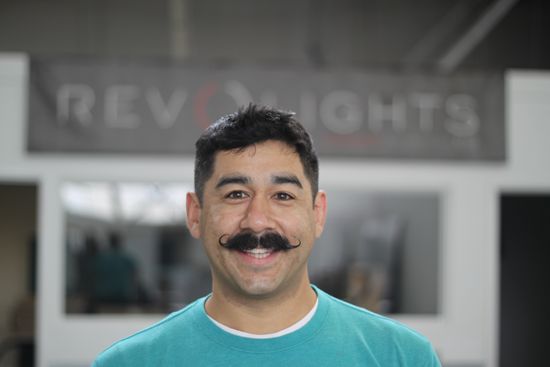 We sat down to talk with one of these new bike startups, Revolights, about the tie-in between new bike companies and bicycle advocacy. Here’s what San Francisco native and Revolights’ Chief Marketing Officer, Drew Ocon, had to say about the combo. Revolights is one of the panelists in tonight’s Bike Month event, Crowdfunding the Bike Industry. An incredible number of bike companies have launched in San Francisco and the Bay Area. Why do you think our area is ripe for such new bike innovation? It is amazing! Last time I checked, about 25% of all bicycle related Kickstarter projects are based here in California and mainly in the Bay Area, which goes to show that both entrepreneurship and cycling run deep in our blood. Back in the early 1900′s, the Golden Gate Park Polo Fields were home to the first west coast velodrome, and in the ’70′s, you’d see pioneers like Joe Breeze, Gary Fisher and Tom Ritchey riding bikes down Mount Tam. Why does your company support the work of the SF Bicycle Coalition? We have always admired and respected what the SFBC has done to lead the way in bicycle safety and infrastructure. We share an affinity for bike safety and legitimizing bicycle commuting as a form of daily transportation. Thanks for the set of lights you gave to the winner of our Bike Commuter of the Year competition! The 2014 winner is Bao-Tran Ausman, a mom who pedals with her kids all around SF. Why do you think it’s exciting to see more parents and kids biking? There are so many amazing aspects of this situation (1) its great to see that the modern day minivan could be a cargo bike. Love to see families are able to remove cars from their lives and rely on bicycle transportation. (2) Teaching children the rules of the road in an urban setting makes for a more conscientious generation. (3) It just shows how far the SFBC has pushed the standards for infrastructure because if city cycling wasn’t perceived safe, parents wouldn’t feel comfortable toting their kids around town. All are great signs for our community. When did you start riding in SF, and what’s the biggest change you’ve seen in SF biking since you started riding here? Well I was born here in SF (yep, real San Franciscans do exist) and raised in the Outer Mission and then out to Walnut Creek so I have watched this biking community grow for the past 20 years. My earliest memories are learning to ride in Golden Gate Park when JFK Dr was closed to cars on Sundays – now a weekly staple in SF bike culture. The biggest change that has affected my daily life are the upgrades to Fell and Oak. Connecting The Wiggle to the Panhandle was a major win for the cycling community. Moving forward, I am excited to see SFBC’s “Vision Zero Goal (no cyclist or pedestrian deaths in five years) become a reality.